The duo behind “irony free, DIY synthpop” from Brighton are back. Consisting of husband and wife team of Brigitte Rose and Chris Black, BATTERY OPERATED ORCHESTRA have climbed the ladders of synth-licity since their debut album ‘Incomplete Until Broken’. While ‘Radiation’ lit up the darkness that enveloped the synth scene back in 2016, with Brigitte claiming her need to be a bit like ABBA, the newborn ‘Snare’ promises Cold War inspired “solid beats and urgent songwriting”. Instantly ‘Strange Goodbye’ ushers the incomprehensible fear and coldness of melancholic synth, married to crystal clear voice of Rose, developing into an compelling need to “leave this town”, before delving into ‘Sweet Dreams’, which definitely aren’t “made of this”. The melodic, yet fearfully straightforward hitting analogue beats present an offering a la early works of CLIENT with the involvement of Sarah Blackwood, the skilfully arpeggiated sequences and ghostly noises all BOO worthy. The dreams surely won’t be sweet; the feeling is of menace and apprehension, rather than the hope of peaceful night. ‘Poliakov’, named after the French writer of ‘The Arian Myth’, tackling the issues of antisemitism and Holocaust, “traces echoes of a divided past into an uncertain future reverberating with the errors of history”, all wrapped up in fast paced electronic dance track. Accompanied by the poignant video, ‘Perfect Wreck’, punctuates the direct rhythm with Rose’s vocal, reminiscing the wizardry of Alison Goldfrapp. “Trapped in a toxic relationship and finding the strength to just get up and walk away” is the theme of the single, which encapsulates the dark echoes BOO are going for here. ‘Nocturn’ is an analogue gem as if straight from the past, while ‘Charismatic Megafauna’ continues the quest for the immediate attention, where the speedy tempo literally drags one over the finishing line, until it stops abruptly to let the magnificent ‘Bella’ to enter. “We wrote this at the height of Summer just before a big change. It’s full of all the turmoil and excitement that brings and the languid escape of those long hot days.” And indeed, the warmth of lazy summer days prevails, with shimmering glimpses of sun over the calm sea and care free feeling of floating on a cloud. Not without a hint of heartache, however. ‘Optical’ is not an illusion; it’s a fully grown, heavy, synth base, leading the way to gracefully executed track, offering both magic and hope, with the undertones of anguish and restlessness. The warning emerges in ‘Under The River’, with its fast paced, yearning plea to become free, away from the rust destroying everything in sight. Will one take respite in ‘A Clearing’, or is more anguish and pain expected, is there hope for better future or are we doomed with the mistakes of the past that surface presently? The dreamy vocal of Rose’s calls out for explanations of “where did it all go wrong?”, and pleads to be spared. Can we be spared, can we be saved, or will the history repeat itself again? “Each song is a different kind of snare, some are traps we set for ourselves. ‘Snare’ exposes the dangers of nostalgia and comfort, the lies we tell ourselves in order to continue doing the wrong thing. It definitely explores the darker things which we would prefer to keep hidden, but also holds hope for a future free of those lies”, say the Sussex DIY-ers, presenting this superb offering, accompanied with slinky handmade CD artwork. 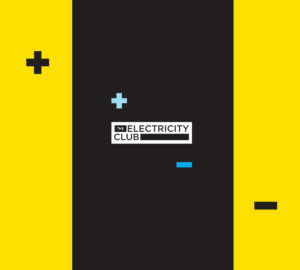 BATTERY OPERATED ORCHESTRA certainly let their imagination run on this one, amplified by magnificent use of analogues, clear musical direction and the sense of purpose, to furnish the recipient with the best electronica has to offer, a pure synth-full soul.